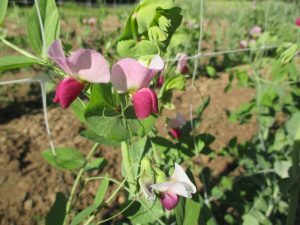 I obtained seed for this famous sugar snap pea from a farmer in Saskatchewan, Canada. This heirloom pea originated in Maussane, near Avignon in southern France. It climbs to about 5 foot and produces very large pods. These are very sweet and have an excellent flavor, varying somewhat from plant to plant. Great for stir-fries or fresh in salads. 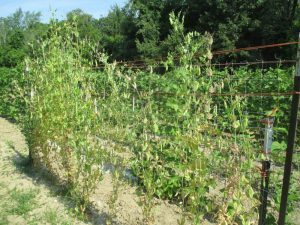 My plants were very productive and produced pods in 65 days from early spring planting.